First awarded in 1927, the Dykes Medal is the highest award of the AIS. Awarded to no more than one iris per year. 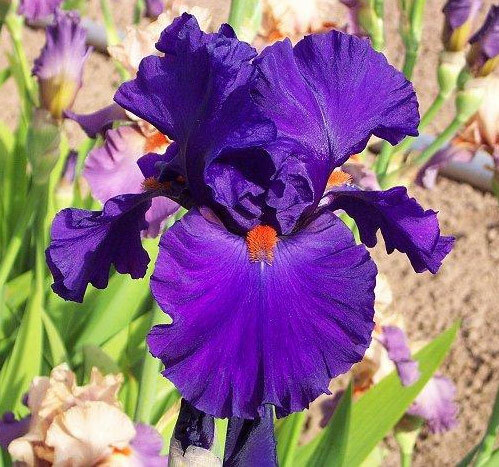 Irises are eligible as a Dykes Medal candidate for three years following the winning of a classification medal. Only AIS registered judges may vote. Dykes Medal winner 2010, Wister Medal 2009, AM 2007, HM 2005. 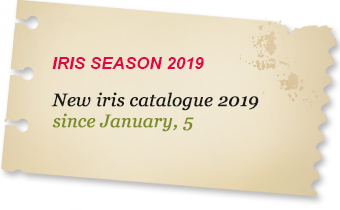 At the 2004 AIS Convention in Fresno, California, this iris was voted most the popular iris seen in convention gardens from a hybridizer outside of the host region (AIS Region 14). For this it received the Cook Cup, an annual award of the AIS Convention. Height= 42inches Season= Mid-Late. This dark purple self demonstrates all around excellence. Show-bench stems bear 11-12 triple-socketed buds. 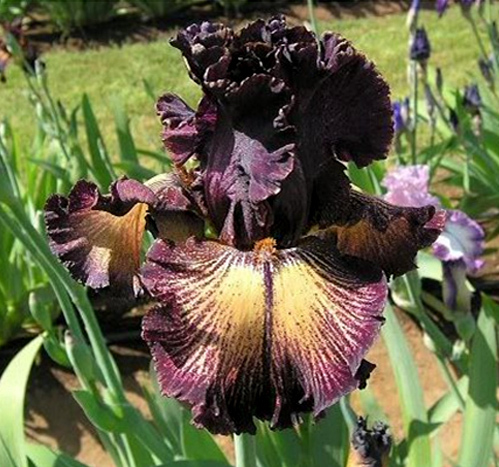 Large flowers have excellent ruffled form and are smoothly saturated in dark purple color. 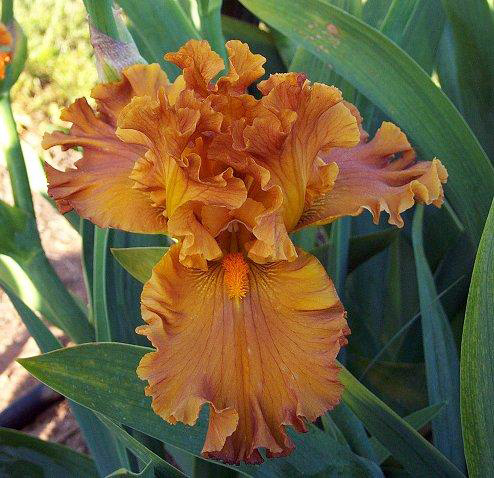 The dark orange beards create a fascinating color combination and a pronounced spicy fragrance enhances its appeal.